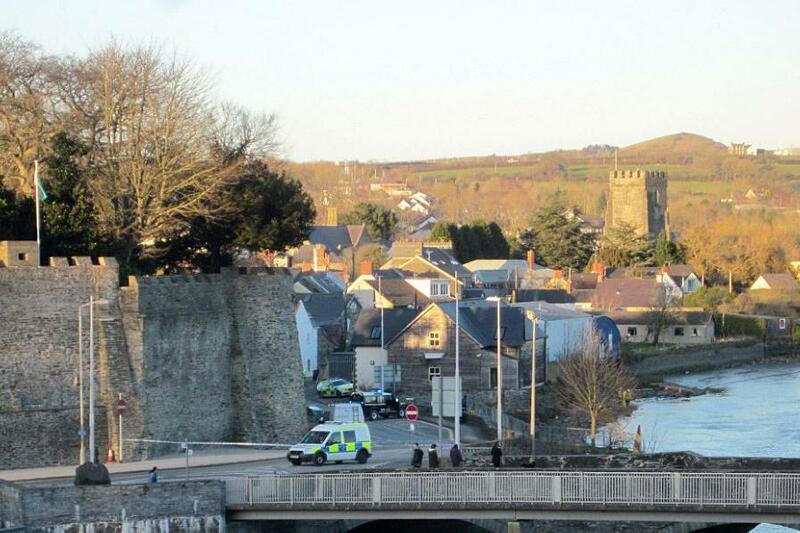 A two-year-old girl has tragically died just hours after being rescued from a car found in a river in Wales. Kiara Moore passed away at the University Hospital of Wales after being recovered from a silver Mini in the River Teifi in Cardigan. This was after reports that the Mini had been stolen with a young girl in it. Dyfed-Powys Police said a call about a missing vehicle was logged at 3.30pm and then posted on its Twitter page that the Mini had been found at 5.11pm. The force initially said the child was receiving medical attention. Tragically in the early hours of Tuesday morning it was then announced: "Sadly, we confirm that Kiara Moore, aged 2 was pronounced dead at the UHW, Cardiff last night, having being recovered from a car in the River Teifi, Cardigan yesterday afternoon." Kiara was only a week from from reaching her third birthday. Her Dad posted on Facebook: "Thank you all for your help this evening. A mega thank you the officers who jumped in the river and the rest of the emergency services for all they did. Unfortunately Kiara had an amazing but short life." One of the locals said: "People are shocked - it's a surprise for a small town like ourselves. "Nothing happens, it's a big shock." Dyfed Powys Police Deputy Chief Constable Darren Davies posted on Twitter: "Tragic outcome and sincerest condolences to the family. Incredible bravery and selflessness shown by officers who entered the water and rescued the child." The Police have appealed for witnesses who may have seen the vehicle enter the river between 3.30pm and 4.50pm on Monday to call 101, quoting incident 216 of 19/03/2018. Read: "MADNESS- You will never guess what the PC Brigade are saying is racist now?" Read: "Biased BBC set to IMPLODE over tax dodge scandal"